I love gyros, which are basically the Greek version of the sandwich. Traditionally, the thinly sliced gyro meat is a mixture of lamb and spices, or if you want a lighter meat, chicken is also popular. For this gyros recipe, I decided to use alligator meat and it turned out great! The yogurt and lemon marinade helped tenderize the alligator meat, and so did pounding the meat with a mallet before cooking. Don’t be intimidated by all the ingredients. 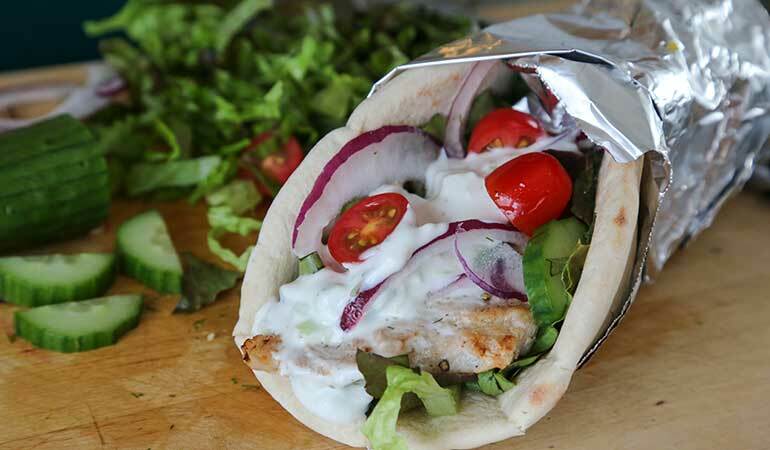 Most of it can be prepped ahead of time, and once the meat is cooked, it’s a cinch to put these gyros together. Ideally, you want to grill the meat over a hot fire – pierce them onto skewers for easy turning. But it was snowing while I made this recipe, so I opted to pan sear the meat instead, which worked out just fine. Combine all the marinade ingredients and pour into a zip-top bag. Add alligator meat, massage the bag and refrigerate for 8 hours/overnight. 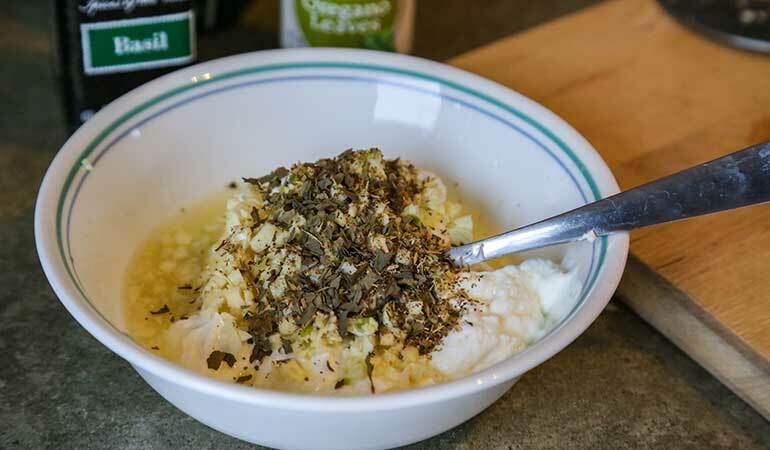 The various spices combined with lemon and garlic create a balanced flavor to soak into whatever meat you decide to use. (Jenny Nguyen-Wheatley photo). 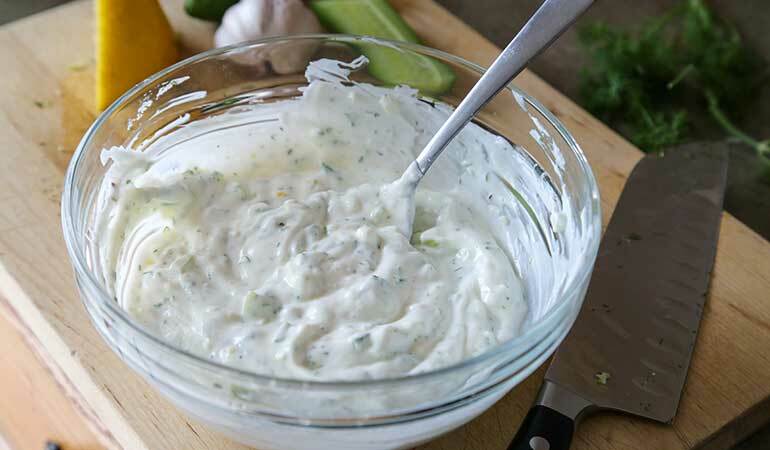 Combine all tzatziki sauce ingredients in a bowl, cover and keep cold until you’re ready to use it. The great thing about gyros is that you have a wide variety of meat options to choose from. (Jenny Nguyen-Wheatley photo). 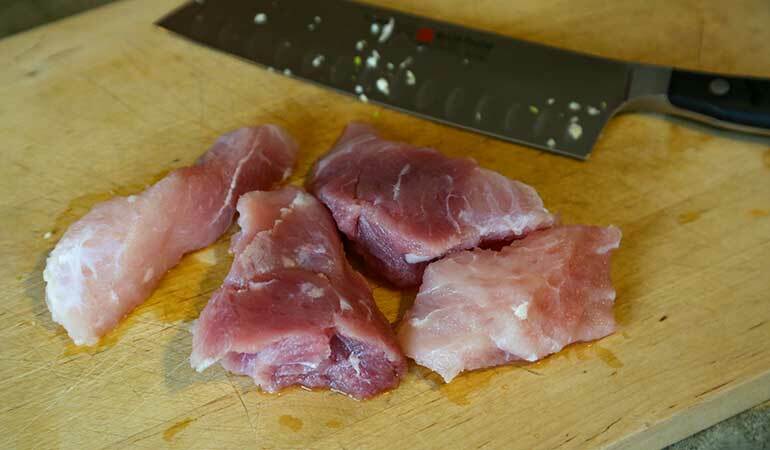 Rinse off marinade on alligator meat and pat dry with paper towels. 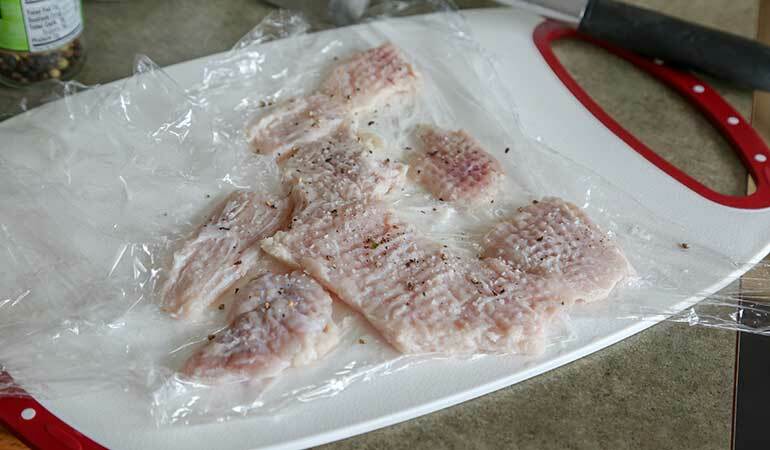 Place meat between two sheets of plastic wrap and flatten with a mallet to tenderize. If you don’t have a mallet, you can also use items like a rolling pin or a heavy saucepan to flatten the meat. (Jenny Nguyen-Wheatley photo). Season tenderized alligator meat with salt and pepper on both sides and brown in oil until golden, about 3-4 minutes each side. While the alligator cooks, heat the pita breads in the microwave with a damp paper towel on top for about 10-20 seconds until warmed and pliable. Enjoy your homemade pita and customize with your favorite toppings. (Jenny Nguyen-Wheatley photo). 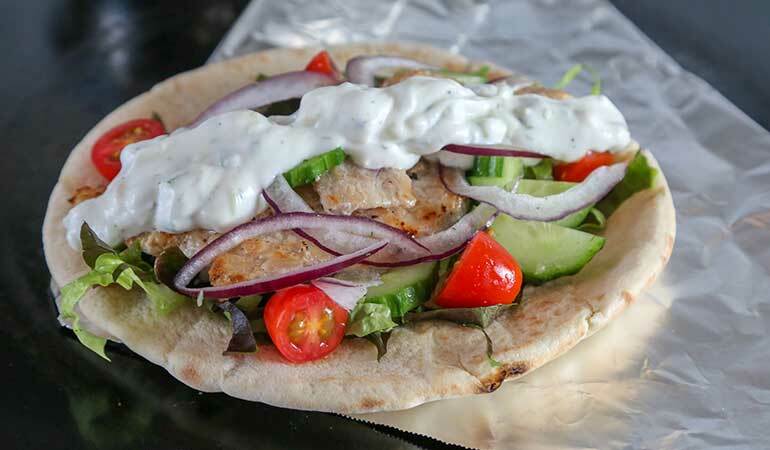 Assemble pita breads with shredded lettuce, browned alligator meat, sliced tomato, sliced cucumber, Feta cheese and a dollop of tzatziki sauce on top. Fold the pita bread to make a taco-like shape and wrap with foil. Serve immediately. Restaurants often serve French fries on the side.